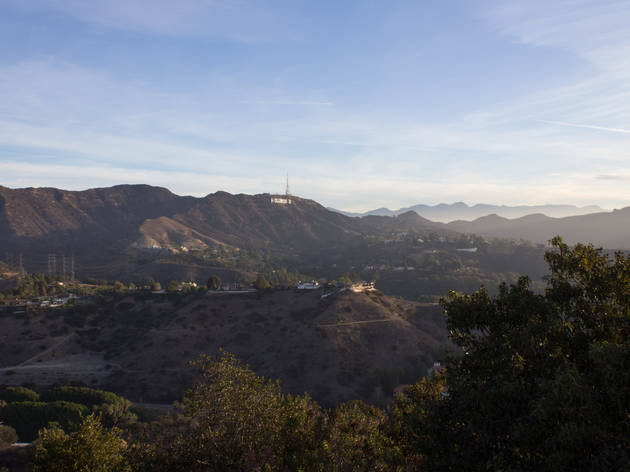 Have an hour to kill in Hollywood? 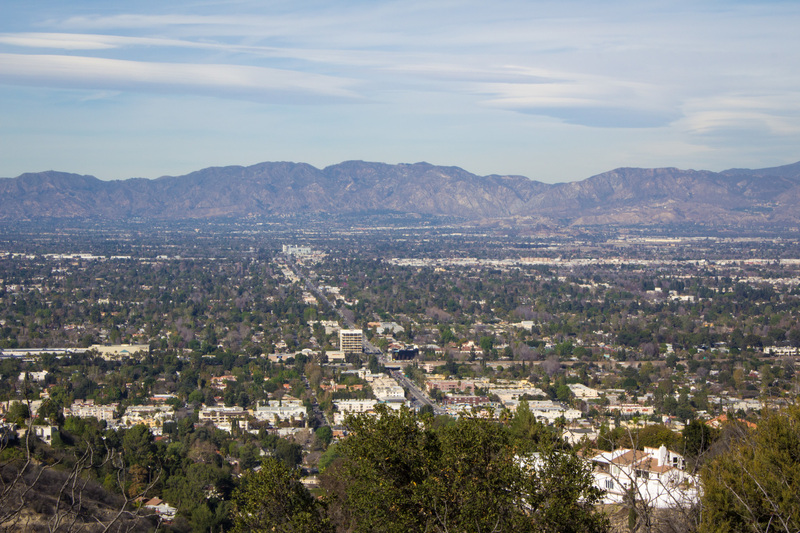 Take a ride along Mulholland Drive and scope out the city from above. 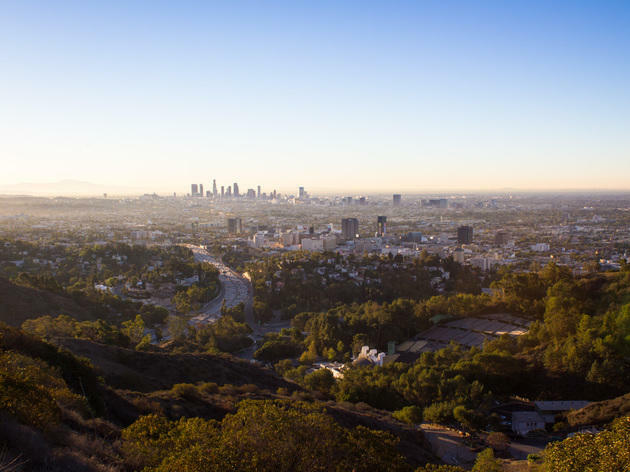 We like to be as eco-friendly as the next guy, but in this automobile-driven city, sometimes a joyride is in order. But the soul-crushing traffic, you say—don't you get enough car time then? Not when we're talking about Mulholland Drive. 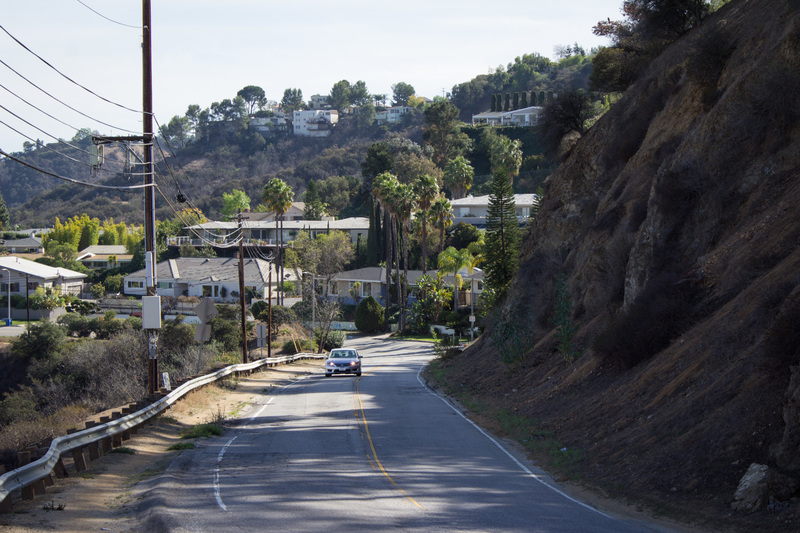 This is the road of classic make out points, Hollywood chase scenes and scenic splendor. 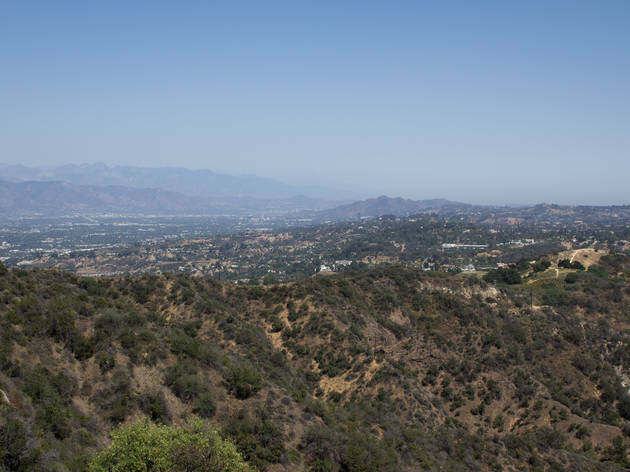 Whether you're looking to impress tourists or avoid cross-town traffic, drive it in its entirety while stopping at the half dozen or so overlooks—all in less than an hour. Good for: Taking in city views while testing your car's handling. 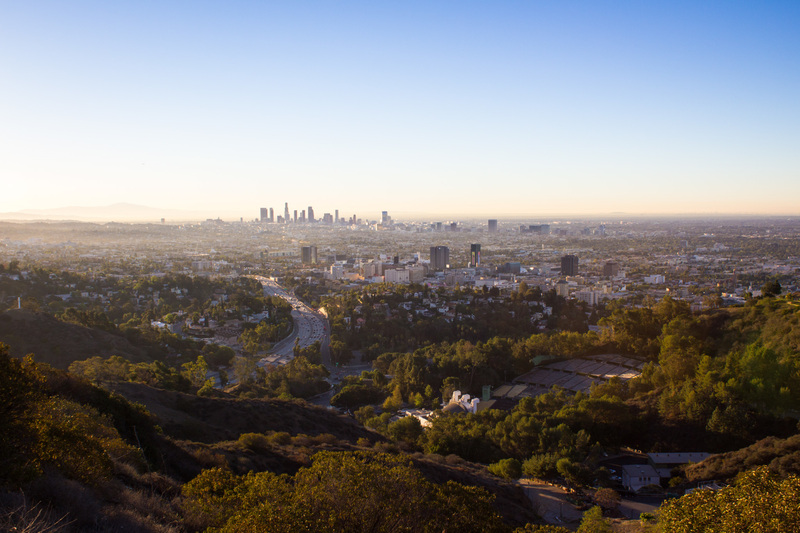 For that moment when: You need a reminder why you choose to put up with driving in LA. 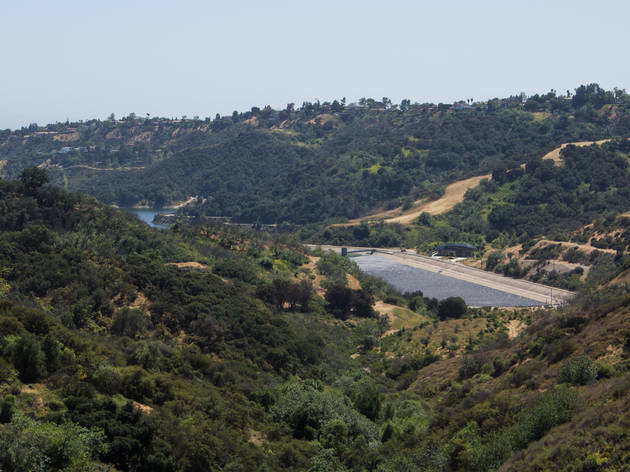 Getting there: Most of the overlooks are on the Valley side of the road, so we're going to travel west to keep left turns to a minimum. 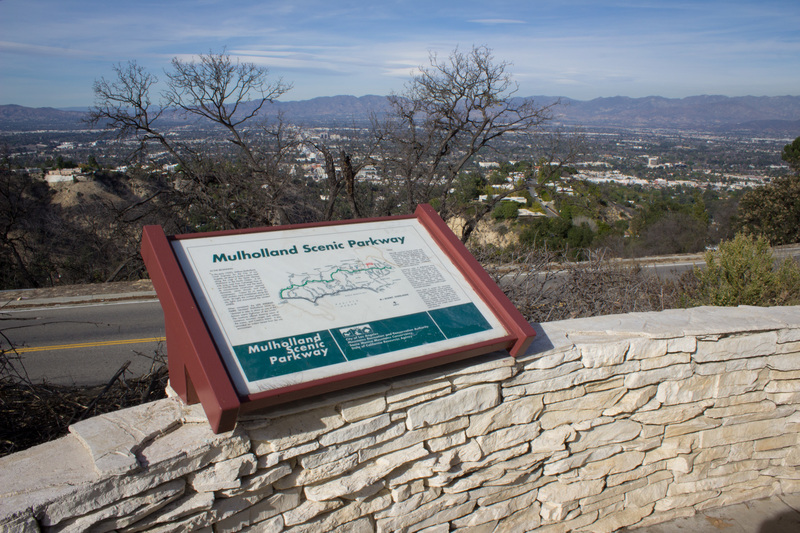 Any major canyon road will meet up with Mulholland at some point, but we're going to start from the beginning—where Mulholland meets Cahuenga. 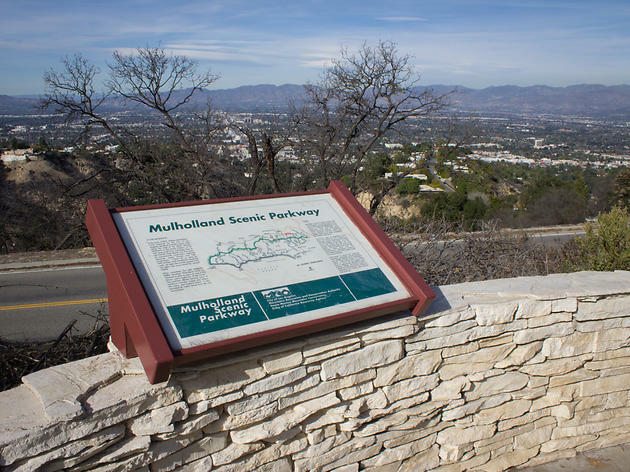 If coming from the Valley, travel south on Cahuenga Blvd W and make a right and quick left to climb up Mulholland. 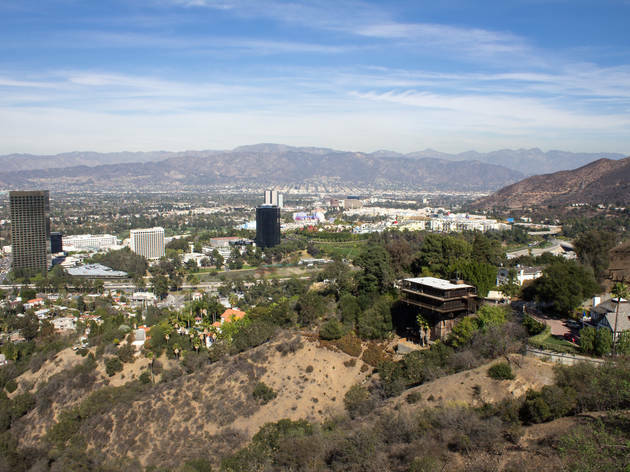 If coming from Hollywood, take Cahuenga Blvd E, make a right on Lakeridge Pl and then a right across the bridge. 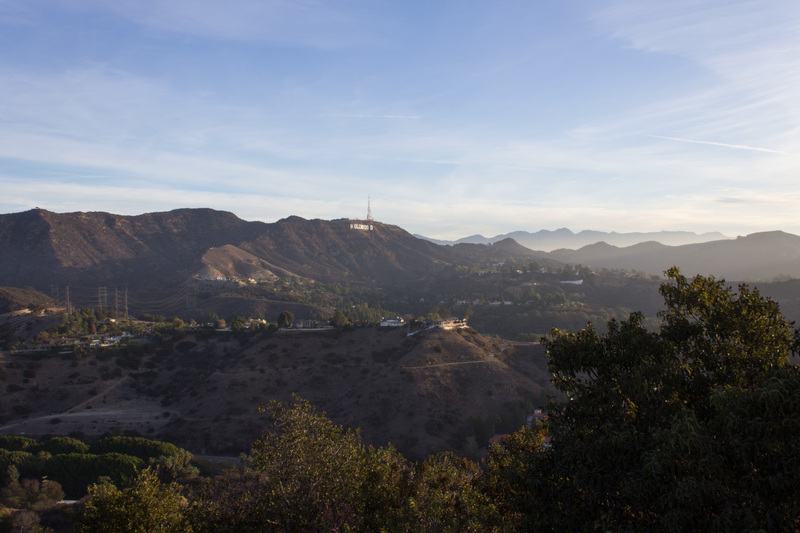 Click through the slide show for some of our favorite overlooks as we travel west along Mulholland Drive. 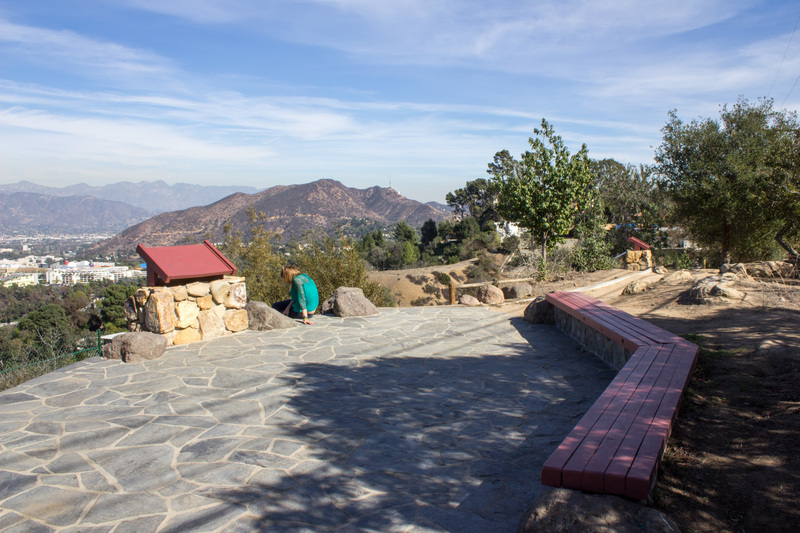 After a windy climb up Mulholland, the Hollywood Bowl Overlook is first up. 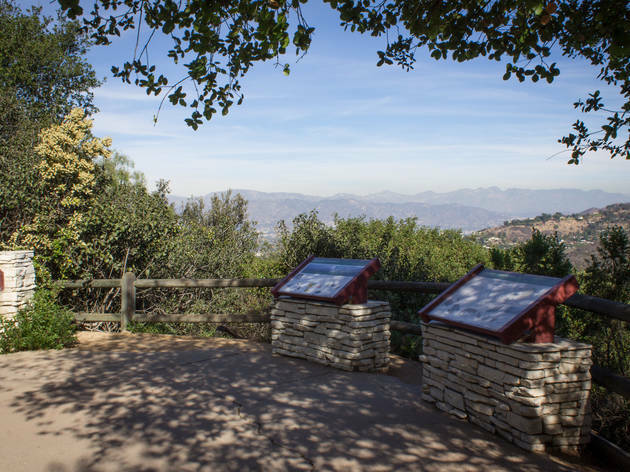 As one of the only stops on the left side of the road, it's really your only chance for an unobstructed view of Downtown LA and the rest of the LA Basin. 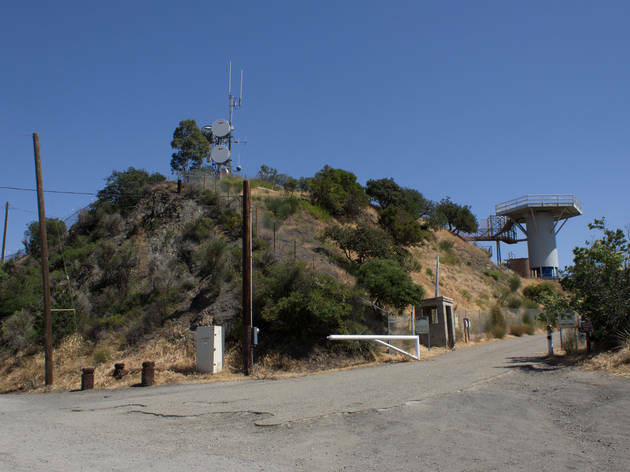 It's also one of the only overlooks along Mulholland with a view of the Hollywood Sign. 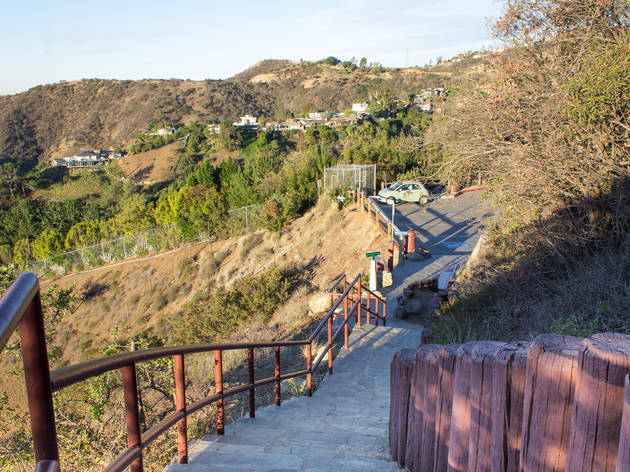 The view from the (often tour van-choked) parking lot is beautiful, but you'll need to climb a few steps for those 360 views. It's no wonder the scenic parkway was once a racing hotspot: Its sloping curves are as exhilarating as they are perilous. 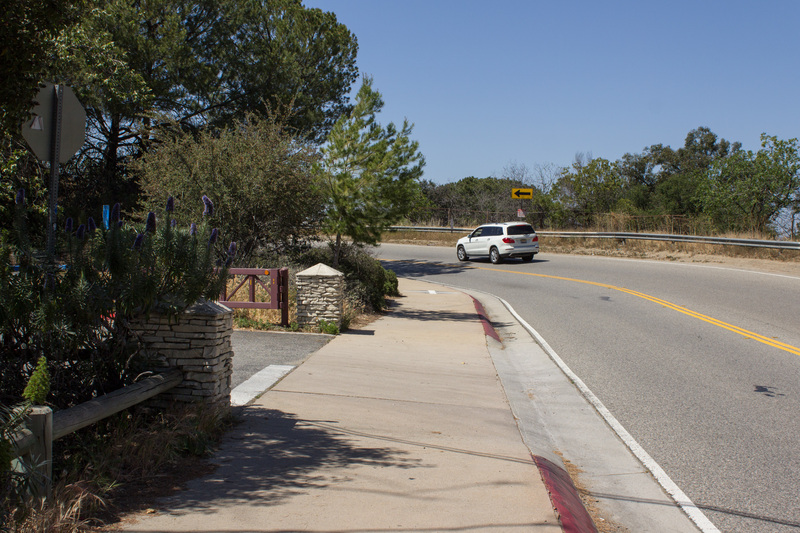 Drive safely, especially through the many blind curves. 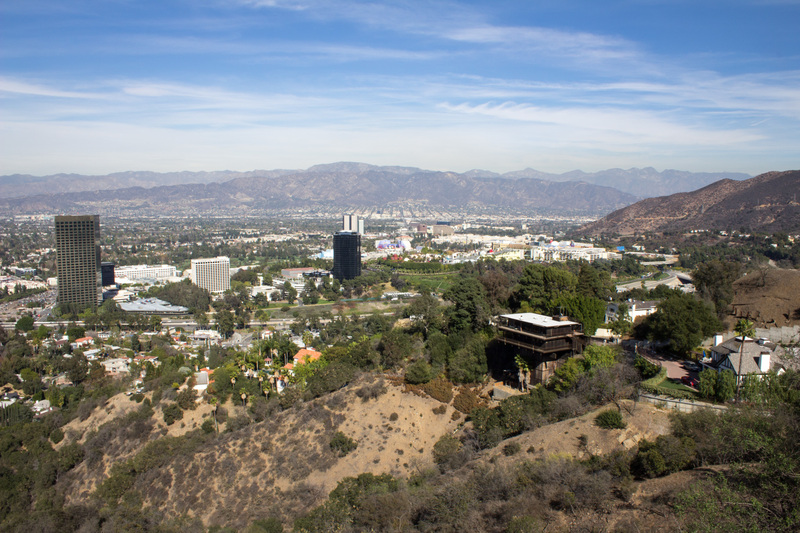 Two miles down the road, you'll come across the Universal City Overlook with its top-down view of Universal Studios and, off in the distance, Warner Bros. Studios. 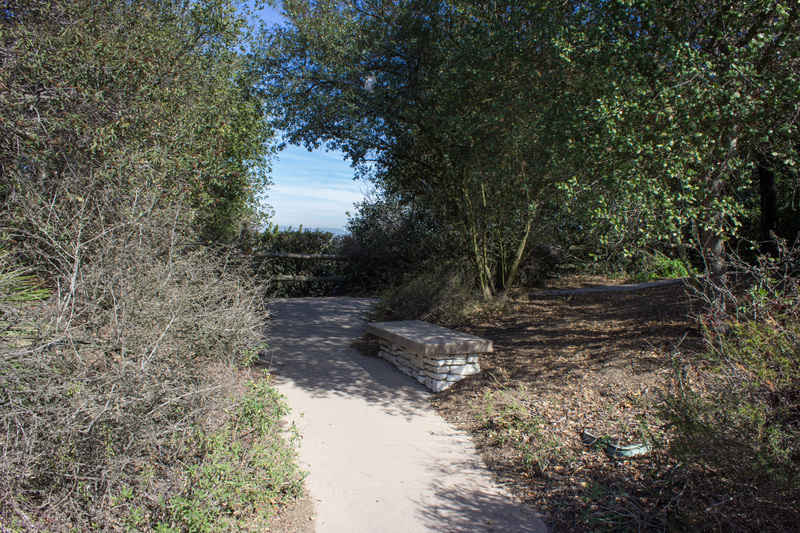 Though it's a popular spot for tour vans to pull over, you'll find that its seating area stays quiet. 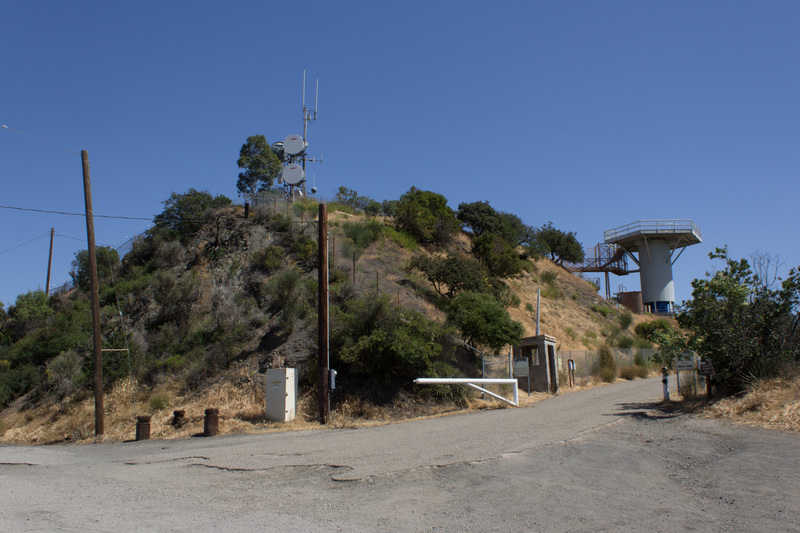 Another three miles down the road, the Barbara A. Fine Overlook is one of the only ones to offer much shade. The view isn't bad either. 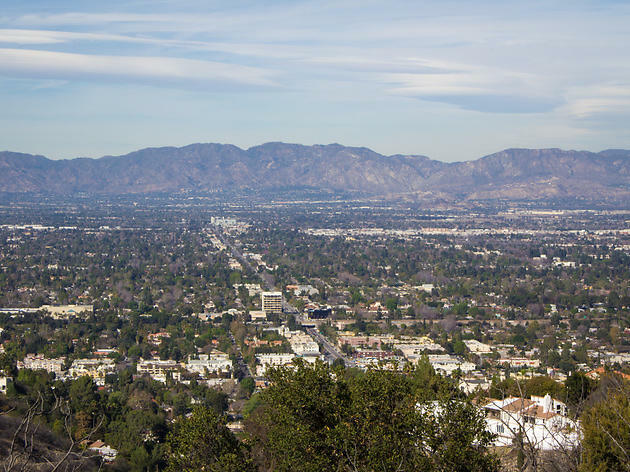 The Valley views are as stunning as they are similar from the various overlooks. 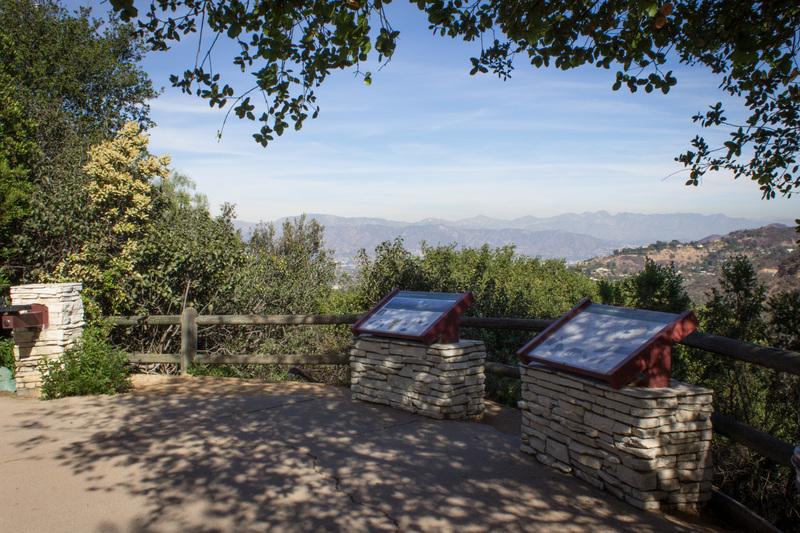 You don't necessarily need to stop at all of them, but do make sure to take in the view of the Verdugos at least once or twice. 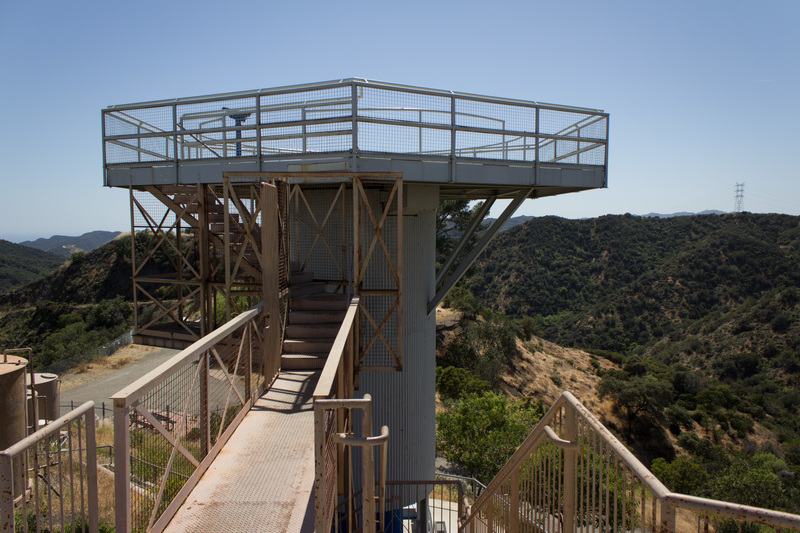 Pictured here: the Charles & Lotte Melhorn Overlook, three miles from where we last stopped. 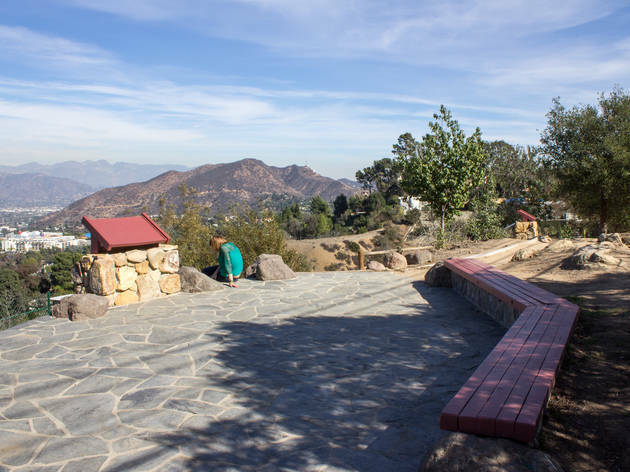 Stone Canyon Overlook, on the other hand, offers a much different southern view. 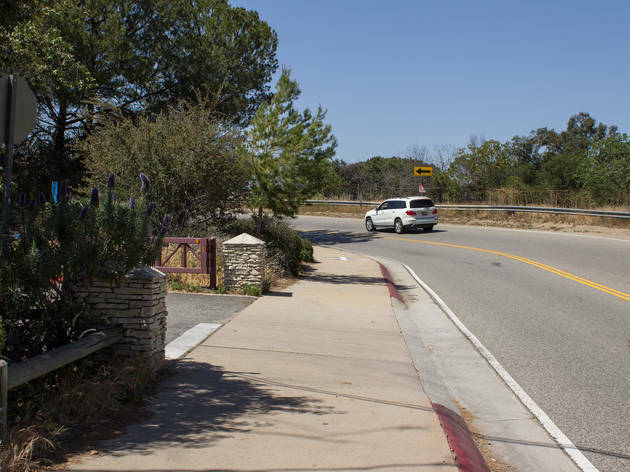 Look for its stone gates on the left side of the road, between Beverly Glen and the 405. 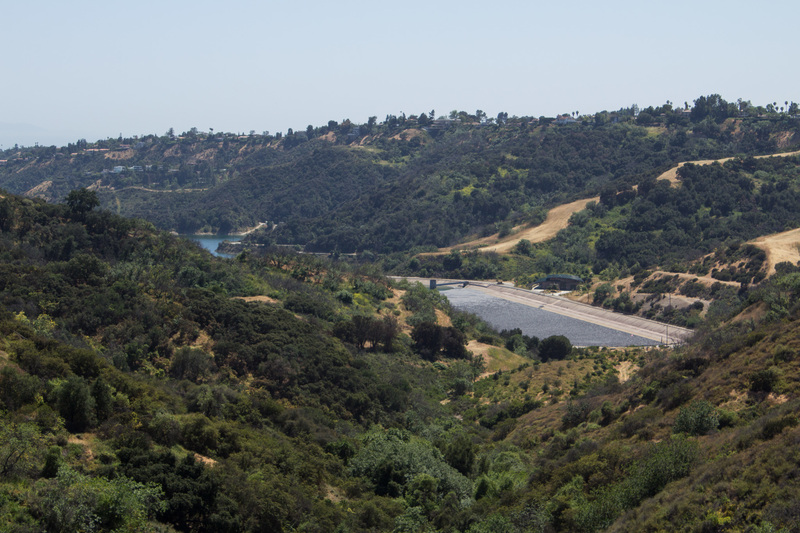 Look out onto the hills and you can catch a glimpse of the Stone Canyon Reservoir and, on clear days, the ocean. 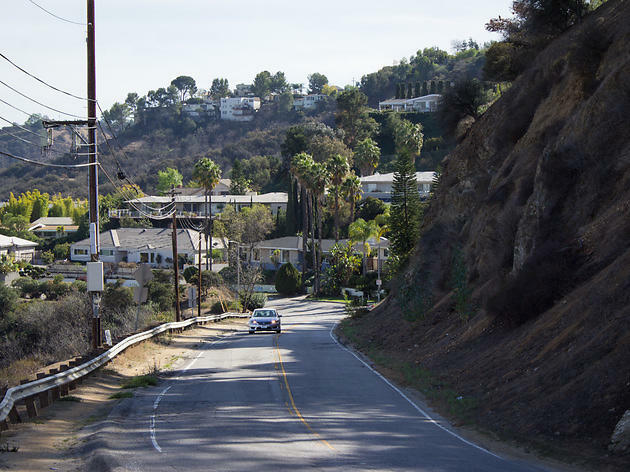 If you have some extra time and aren't afraid to get your car dirty, stay on Mulholland past the 405 and then bear left at Encino Hills Drive, at which point the road will turn into a cracked, gravelly mess. 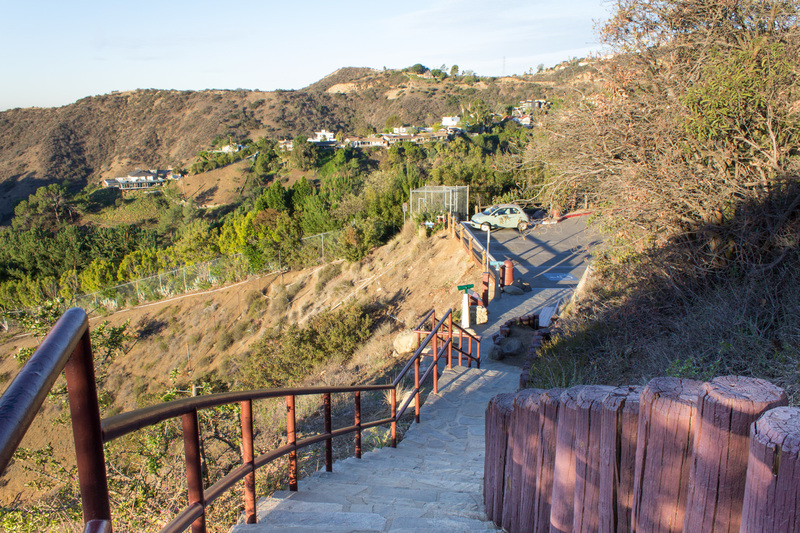 Wind up the dirt road and eventually you'll reach the entrance to San Vicente Mountain Park. 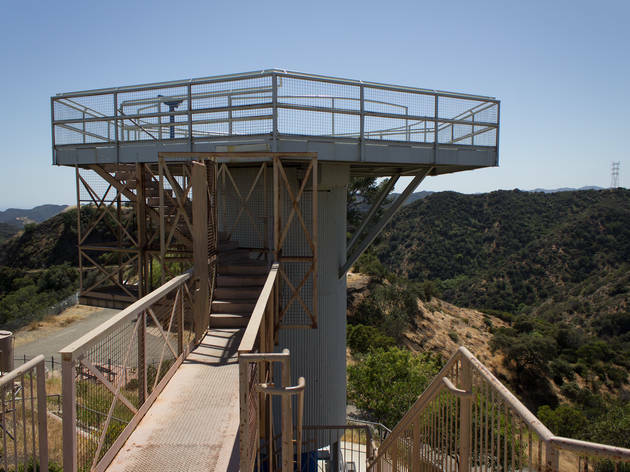 If you're okay with a few steps, climb to the top of this Cold War radar tower for one of the best 360-degree views in the entire county. 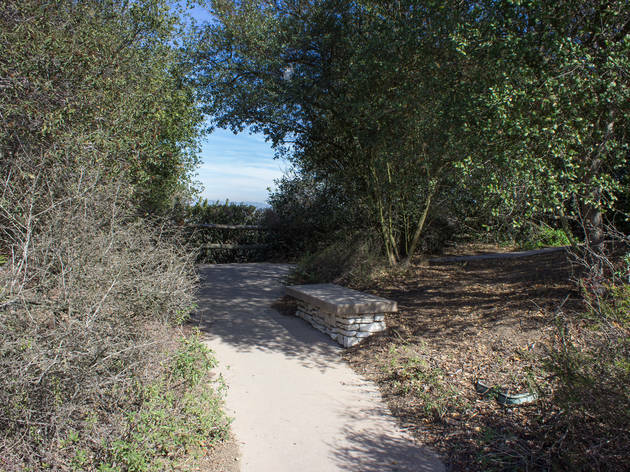 On clear days, you can see Palos Verdes, Downtown and the entire Valley. 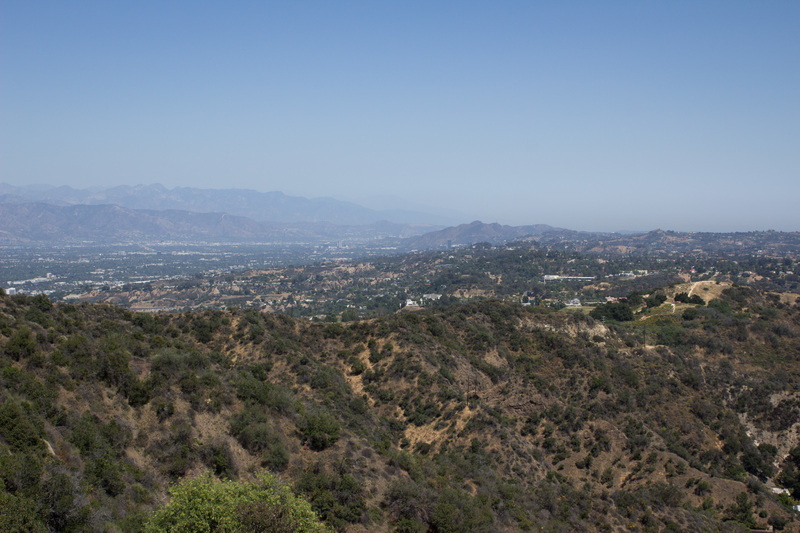 If you're feeling contemplative, look to the east to survey the 14 miles of Mulholland that you just covered.